Role of the partner: Organisation of the scientific program of the 6th CESC. Giving lectures, editing abstract book. 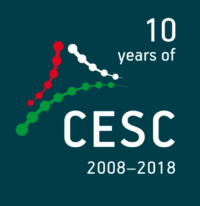 Role of the partner: Organization of the scientific program of the 6th CESC. Giving lectures. Role of the partner: Organisation of the scientific program of the event. Giving lecture and seminar.